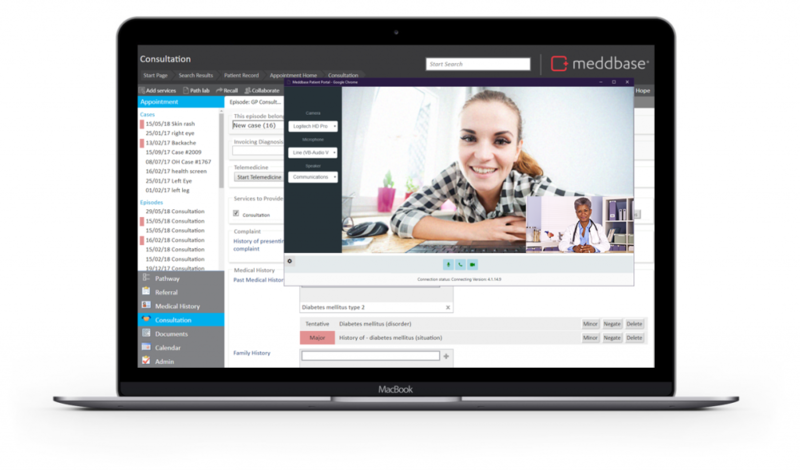 Meddbase offers a fully integrated EMR with best-of-bread telemedicine. Easily schedule appointments for your patients, or allow patients to book online via our flexible patient portal. Our telemedicine features are fully integrated with our primary care module, secondary care module and occupational health case management systems. Offer convenient and secure telemedicine appointments to your patients. Utilise your webcam or smart phone to remotely interact and engage with your patients. Your patients can access their telemedicine appointment via our secure platform on their mobile or desktop device. Automated reminder notifications will guide your patients and connect them to the appointment easily and quickly.